Hi! I’m Bernadette – or call me B. My goal is to help you live a healthier and more active lifestyle by sharing practical nutrition tips, health advice and fitness workouts that you can immediately use in your everyday life. Whether you want to lose unwanted inches, gain more energy, experience better sleep, reduce mood swings, eliminate cravings, get stronger, or just feel better overall, you’re in the right place. I want you to become the best version of yourself. Why? … because YOUR success is my driving force! My life experiences as a mom of four, competitive athlete and certified trainer, coupled with years of higher education have allowed me to better understand people’s needs and offer simple solutions that work. 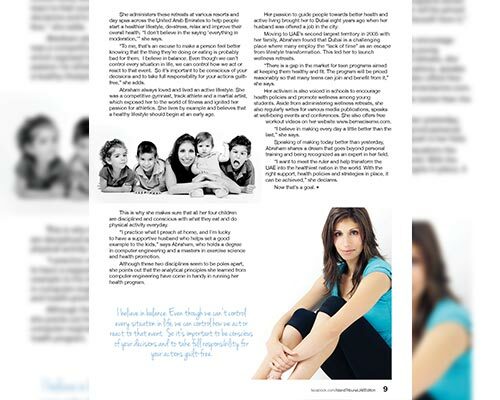 I’ve helped the “new mom” regain her physique, posture and health after having kids. I’ve helped the “former college sportsperson” get over injuries and get back into shape. I’ve helped the “overweight child” who lacked confidence, develop a new-found interest in sports and nutrition. I’ve helped the “hopeless dieter” break free from years of calorie-counting and finally make peace with food and their weight. Whatever your story may be, I am here to educate and empower you to find your own happy ending and new beginning. No magic bullets or quick-fix gadgets – only the true power of knowledge! Sign-up to get the latest scoop! 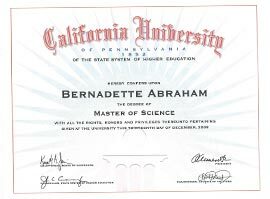 Bernadette Abraham is a certified wellness coach with 20 years of health and fitness experience under her belt. 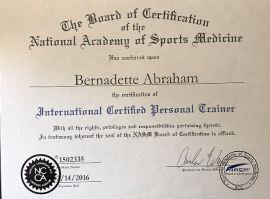 A former competitive gymnast, track athlete, and martial artist, Bernadette also holds a Masters degree in Exercise Science and Health Promotion, and continually adds to her credentials as a certified personal trainer and nutritional therapy practitioner. 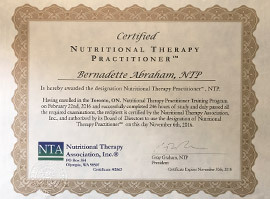 She has personally helped hundreds of individuals and families improve their health, and has reached hundreds of thousands through the power of media. 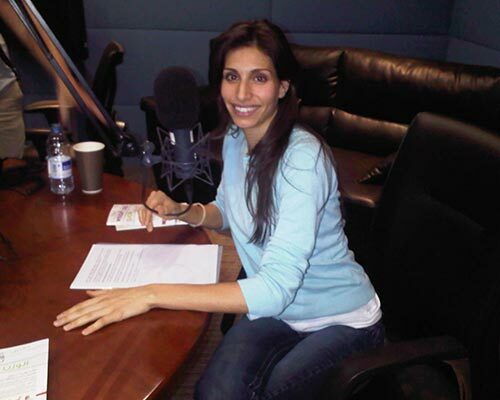 Since her move to Dubai in 2005, she has become a sought-after expert in her field, publishing hundreds of articles relating to overall wellbeing, fitness, and nutrition in several magazines, newspapers, and online publications. 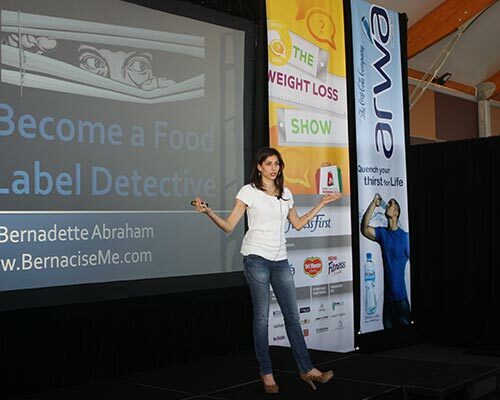 She is also a popular speaker, promoting healthy living to various audiences such as the Wellbeing Show, Woman’s Health & Fitness, the Weight Loss Show, the Great Parenting Show, and MEFIT Pro Summit. 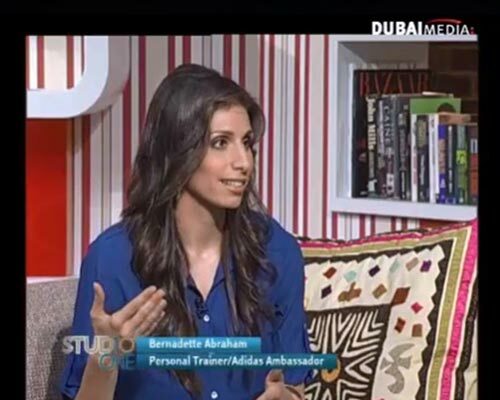 Bernadette also shares her knowledge through the airwaves on Radio 2, Dubai Eye and Abu Dhabi Classic, and has made several guest appearances on City7 TV, Dubai One TV, Physique TV and MBC 1. She was selected to be the health and fitness ambassador for The Female Network, and has co-hosted a 16-episode pre-natal fitness and nutrition television series on MBC 1. Her company, B Lifestyle Consultancy, specializes in high-end holistic wellness services, health & wellness consultancy to corporations and government entities, and is spearheading an upright movement across the region with Focal Upright Furniture.